Apple, Disney and YouTube, respectively, ranked as the top three most “intimate” brands among millennials, according to MBLM’s Brand Intimacy 2018 Report, which is the largest study of brands based on emotions. Brand intimacy leverages and strengthens the emotional bonds between a person and a brand. By comparison, in MBLM’s 2017 report, Disney placed first, followed by Amazon and Netflix. The other brands that rounded out the top 10 were Target, Amazon, Nintendo, Google, Xbox, Netflix and Whole Foods. The age group of 18-24-year-olds had a slightly different mix of top companies. The top 10 for that group were Apple, Amazon, YouTube, PlayStation, Starbucks, Nintendo, Google, Netflix, Coca Cola and Walmart. The report analyzed the responses of 6,000 consumers and 54,000 brand evaluations across 15 industries in the United States, Mexico and the United Arab Emirates. The full report will be released on March 13, 2018. 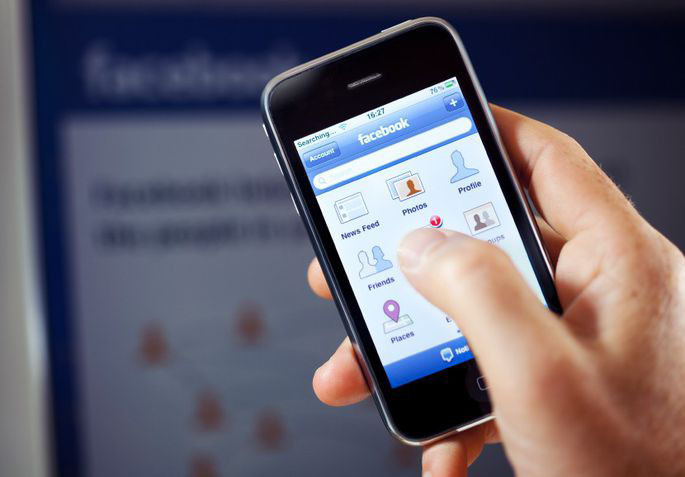 Survey: Facebook Losing Favor Among Millennials? The average millennial reportedly checks their phone more than 150 times per day. But where (i.e. Facebook) this demo (18-38) checks on favorite brands is changing, according to new data from Moosylvania, a 40-person marketing agency based in St. Louis. “We know they are on the channels talking with their friends. What we want to know is how and where they are connecting with their favorite brands,” said CEO Norty Cohen. In a January mobile-only survey, respondents were asked how they connected with their favorite brands on their smartphone. The survey compared responses from 2017 to 2018. Respondents that used Facebook declined from 52% to 40% among younger millennials (17-27) and from 48% to 33% among older (28-38) millennials. Despite the drop, Facebook remained the largest go-to platform among respondents. “[It] can’t be overlooked,” said Cohen. Indeed, Facebook had 2.2 billion monthly active users in the fourth quarter of 2017, according to Statista.com. Facebook says 1.40 billion people on average logged on daily in December 2016, which represented a 14% increase from the previous-year period. Meanwhile, Instagram use remained steady at 33% for younger respondents and up 5% to 24% among older millennials, according to the survey. Twitter fell from 28% to 16% among younger millennials, and down 4% to 17% for older millennials. Snapchat use increased from 20% to 24% among younger millennials and up 1% to 11% with older millennials. Cohen attributed the changes to increased efficiencies of branded emails and websites. Brand website use among respondents increased 1% to 20% with younger millennials and went from 20% to 25% with older millennials. Email use increased from 17% to 18% with younger millennials and up 4% to 22% with older millennials. 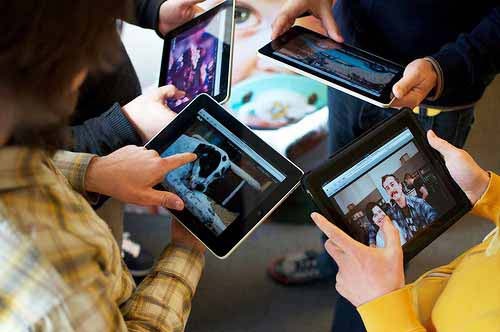 “Personalization and customized experiences [online] are easier to create than ever,” Cohen said. YouTube gained from 22% to 23% among younger millennials and decreased 1% to 17% with older millennials. Pinterest was down from 4% to 7% of younger millennials and down 5% to 6% with older millennials. Text messaging was flat at 9% for younger millennials and up 1% to 11% with older millennials. Cohen, who has written a book on brand connectivity in the Internet age – says brands need to develop two-way conversations to better connect with their consumers. “Channels that can personalize and get there quickly are going to do better in the long run,” he said. Author Erik GruenwedelPosted on March 6, 2018 March 6, 2018 Categories Digital, Marketing, News, Retail, StreamingTags Facebook, Moosylvania, Pinterest, Snapchat, Social media, Twitter, YouTubeLeave a comment on Survey: Facebook Losing Favor Among Millennials? In the wake of the Florida high-school shooting that left 14 students and three teachers dead, gun safety activists are asking tech companies to stop streaming NRA TV, an ad-supported service of the National Rifle Association. Launched in 2016, NRA TV features original programming supporting gun rights and other issues, in addition to covering conservative events such as C-PAC. “Moms Demand Action for Gun Sense” and “Everytown for Gun Safety” are calling on companies such as Amazon, YouTube, Roku and Apple to stop carrying the NRA TV app, claiming the platform “promotes dangerous conspiracy theories, racially charged rhetoric and violent demonization of the NRA’s political opponents,” among other issues. “Everytown,” which is fighting to close existing loopholes in gun purchase background checks and curbing the illegal trafficking of firearms, is helping spread hashtag #DumpNRATV. The groups are also asking pay-TV operators such as DirecTV Now to cancel programming produced by the NRA. “American businesses have the responsibility to make ethical decisions about the content they will provide on their platforms,” Shannon Watts, founder of Moms Demand Action, said in a statement. Watts, a mother of five children, founded “Moms Demand Action” following the Sandy Hook Elementary School shootings in 2012 that left 20 children and six adults dead. Roku spokesperson Tricia Mifsud took the high ground, saying the over-the-top video pioneer merely acts as a conduit to programming users voluntarily choose to stream. “We operate an open-streaming platform; however, our content policies prohibit the publication of content that is unlawful, incites illegal activities or violates third-party rights,” Mifsud said in a statement to CNN.com. The National Football League suffered through a controversy-plagued season, underscored by declining attendance and slipping TV ratings – down 13%. 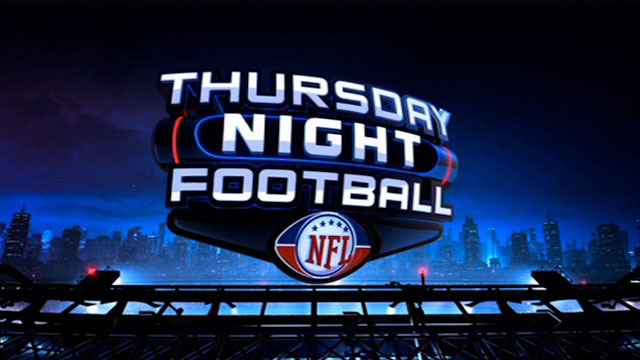 But that isn’t stopping Twitter, Amazon, Google-owned YouTube and Verizon from upping bids for first-time multiyear streaming rights to the 2018/19 season of NFL Thursday Night Football, according to Recode.net. With Fox Sports securing exclusive Thursday Night Football broadcast rights over the next five years for $3.3 billion – nearly 50% more than what NBC and CBS paid to split rights to 10 games last season, expect online properties to dig deep into the wallet as well. Indeed, Twitter secured rights in 2016 for $10 million, a figure that ballooned to $50 million in 2017 for Amazon Prime Video. While Verizon has select mobile streaming rights along with Fox, it could seek to expand them for its fledgling Oath platform. And YouTube, which is shipping the YouTube Red brand internationally, in addition to upping content selection (and pricing) for YouTube TV, is interested, CEO Susan Wojcicki told Recode’s Code Media confab this week in Huntington Beach, Calif. But without deep-pocket market leader Netflix, which steadfastly declines any interest in live sports, dramatically up the bidding price, streaming rights should remain reasonably priced considering online viewership to Thursday Night Football pales in comparison to broadcast. An early season game between the Chicago Bears and Green Bay Packers generated 373,000 viewers on Prime Video, compared to 14.6 million for broadcast. TiVo Jan. 18 announced an updated patent license agreement with Google that includes the search behemoth’s online television service, YouTube TV. The deal covers Google’s use of TiVo’s technologies worldwide and offers a license for Google’s products and services across Internet-based platforms and devices. Launched last spring, You Tube TV offers access to more than 40 pay-TV channels starting at $35 monthly. The app enables subs to watch programing on computers, portable devices and connected LG and Samsung TVs, or televisions employing Chromecast, Android TV, Xbox One or Apple Airplay streaming media devices. TiVo, which helped create the digital video recorder market in the ’90s, licenses software applications that help track user data, remote control functions, program search, channel listings, transactional VOD support and other backend technology. “The world of video entertainment is expanding with exciting new consumer offerings such as YouTube TV,” said Arvin Patel, EVP and chief intellectual property officer, Rovi Corp., a TiVo company. Amazon has reportedly pulled the YouTube app from Fire TV devices – ahead of the Jan. 1, 2018 deadline Google previously imposed on the ecommerce behemoth for its alleged lack of the support for Prime Video on Chromecast. 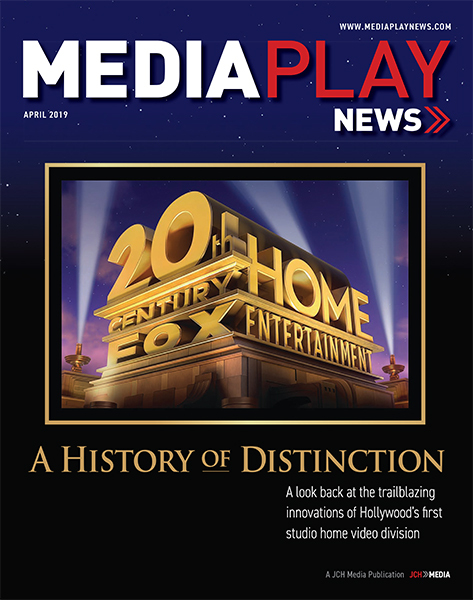 On its website, Amazon directed YouTube users to Firefox or Silk browsers to access the streaming video platform, according to FastCompany.com. “We don’t know when or if this item will be back in stock,” reads a message on the page. The feud underscores increasing tensions among the tech giants eager to expand distribution channels among consumers for proprietary and licensed original video.